banana lollipops! – ugly food tastes better. There’s always money in the banana stand! I recently went to an Arrested Development themed party. I dressed as Rita, and I brought, what else? Bananas on a stick! These are an awesome and easy treat for Summer, party or not! Nutrition – High in sugar, but natural! 2 bags of semi sweet chocolate chips, chunks, whatever ya got to melt. Optional – toasted coconut or crushed nuts to roll them in. Cut the bananas in to 1″ pieces, setting the ends or smaller circles aside for morning cereal. Once the bananas are frozen, melt your chocolate in a double boiler (I did mine in 4 batches bc the chocolate starts to harden quickly.) dip bananas and place back on parchment and get them back in the freezer. If you are rolling them in something else, do that after each dip. Let freeze another 2 hours and voila! 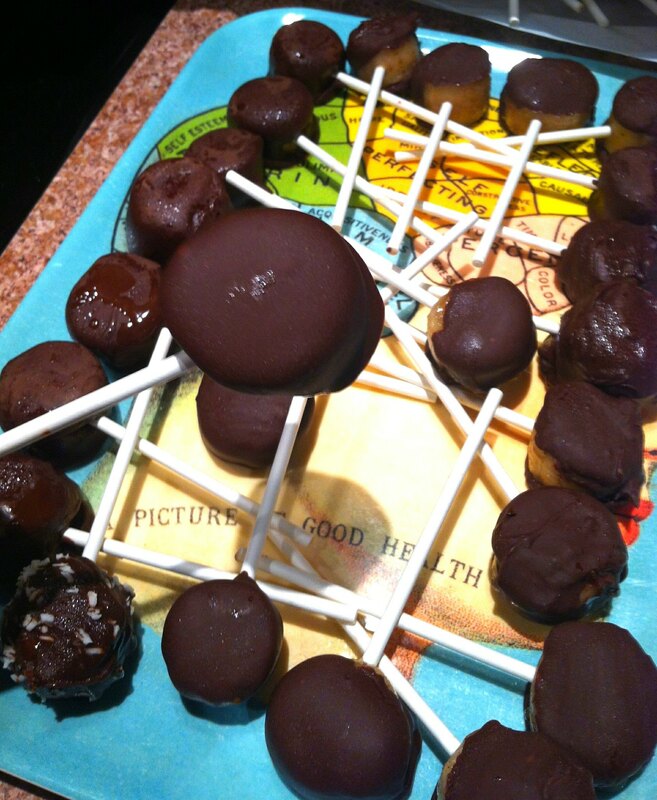 Delicious, cold and creamy lollipops at the ready. A really great dessert fix, and fun for kids! Those are great because you can leave them in the freezer for an instant cold sweet treat and they are mostly fruit! Oh baby, those look good! 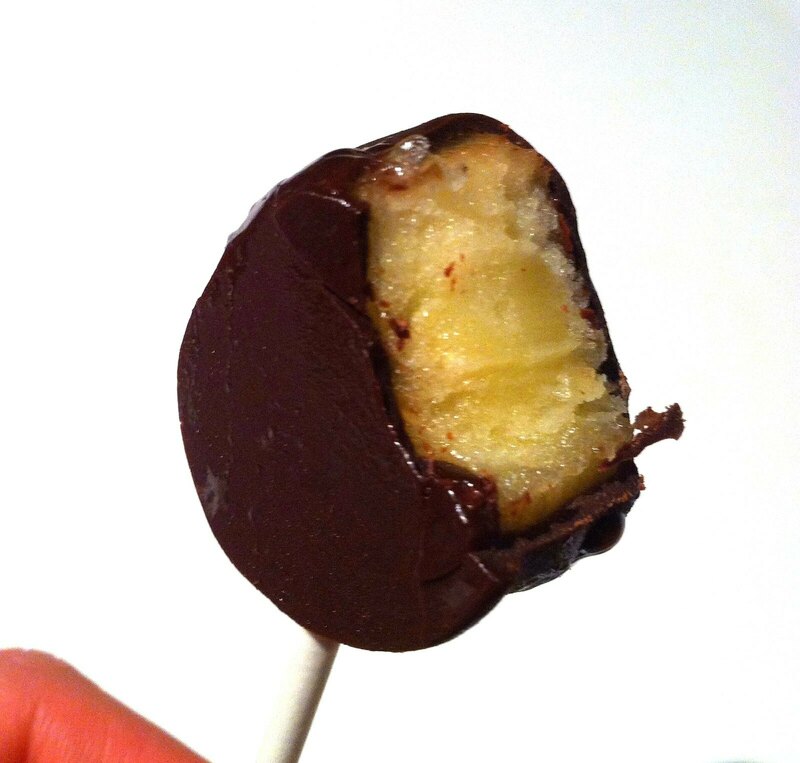 Best twist on banana pops, ever. These are beautiful, too, by the way.